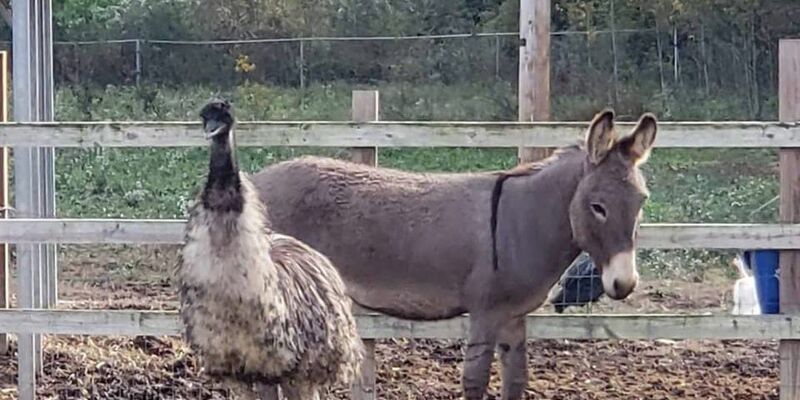 Jack (donkey) and Diane (emu). (WWBT) - Here’s a little ditty about Jack and Diane. Two American animals growing up at Carolina Waterfowl Rescue. Jack is a donkey. Diane is an emu. They have to be adopted together. The donkey doesn’t like other donkeys and the emu doesn’t like other emus. They only like each other. “We are excited to introduce Jack and Diane,” the shelter wrote on Facebook. "A story where two creatures with different looks, backgrounds and even breeds learn to stand together, protect each other and love. Oh, yeah. Life goes on, but only together.